Despite continued rallies in equities, crude prices remained within the range of the last few sessions as investors preferred to stay on the sidelines. Although we saw a loss of $0.49 to $102.07 per barrel, the big picture suggests that the support from the bad weather is being cancelled off by signs of distillate supplies building up. Yellen's speech yesterday was a breath of fresh air for gold spread trading investors as it reiterated that monetary stimulus remains on the table for now. However, the precious metal gained just $1.0 to $1,331.5, which was not too encouraging given the heightened geopolitical risk represented by the volatile situation in Ukraine. A fall in oil inventories at Cushing and a weaker than estimated build for the overall weekly crude stockpiles report pushed Nymex $0.50 higher to $102.55. The energy complex also took on board the optimism regarding the US housing sector as new homes sales saw an unexpected climb to the highest level in more than 5 years. After initially moving to a new recent high of $1,345.7, gold investors got cold feet and decided to take profits, sending the precious metal $10 lower for the day to $1,330.7. Encouraging US economic data also dented hopes for an ongoing recovery in the yellow metal as it makes a continuation of Fed tapering all the more likely. The opening of the southern part of the Keystone pipeline eased some supply pressure at Cushing. Nevertheless, the energy complex is still expecting a rise in the weekly crude inventories report which will be released later today by the Department of Energy. Concerned CFD trading investors did not want to take a risk and so took profits yesterday, sending WTI $0.75 lower to $102.05 per barrel. Gold prices reached a new recent high above the $1,340.0 mark, the strongest level in more than 4 months, ending the session $3.6 higher. The decline in US consumer confidence provided the impetus for the move as investors sought safe haven precious metals. Speculation that oil inventories had declined last week at Cushing, Oklahoma, the delivery point for US crude, pushed WTI crude $0.51 higher to $102.83. A climb for US stocks also supported oil prices as a growing economy should keep energy demand rather elevated. Amid growing social unrest in some parts of the world like Ukraine and Venezuela, investors looked to precious metals as a hedge against the turmoil. 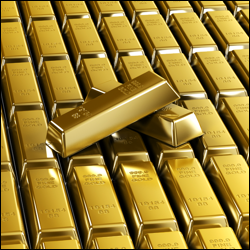 As such, gold prices saw a gain of $11.5 for the day, with the commodity market reaching a fresh recent high of $1,337.1, which was last seen at the end of October 2013. Position squaring ahead of the weekend pushed Nymex crude oil $0.61 lower to $102.25 on Friday after the price had rallied by nearly $3.00 in the first half of the week. There is a concern that energy prices have risen by more than the current data would justify, so a pullback might be on the cards. With spring just around the corner (at least on paper), the end of heating oil season could mean less weather related support. Positive momentum provided by disappointing US housing data was counteracted by the widespread consensus that the Fed will continue to cut stimulus anyway. This meant that we only saw enough gold demand to keep prices flat, with the market closing at $1,323 on Friday.